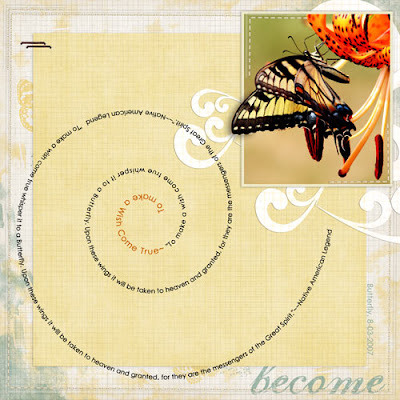 This is my 3rd page where I have used the Funky Train kit from Scrapbook-Graphics. I wanted to keep this page nice and simple to focus on the beautiful butterfly picture and the lovely colors and textures of Michelle Godin's portion of the kit. ADSR Challenge 9 - You Want a What? Autumn Mini kit by Kim! Key Ring Tags by Lemonaid Lucy! Hardware galore at Herald's place!